Famed Hollywood actor Leonardo DiCaprio visited Trump Tower on Wednesday to speak with the president-elect. The two were accompanied by Terry Tamminen, the CEO of the Leonardo DiCaprio Foundation – a nonprofit dedicated to environmental issues. Tamminen stated that the meeting focused on the creation of jobs in the green energy sector and the matter of climate change. "Today, we presented the president-elect and his advisers with a framework -– which LDF developed in consultation with leading voices in the fields of economics and environmentalism -– that details how to unleash a major economic revival across the United States that is centered on investments in sustainable infrastructure," Tamminen said. "Climate change is bigger than politics, and the disastrous effects on our planet and our civilization will continue regardless of what party holds majorities in Congress or occupies the White House," he added. The CEO of DiCaprio’s foundation went on to say Trump looked forward to continuing the dialogue and wanted a follow-up meeting in January. 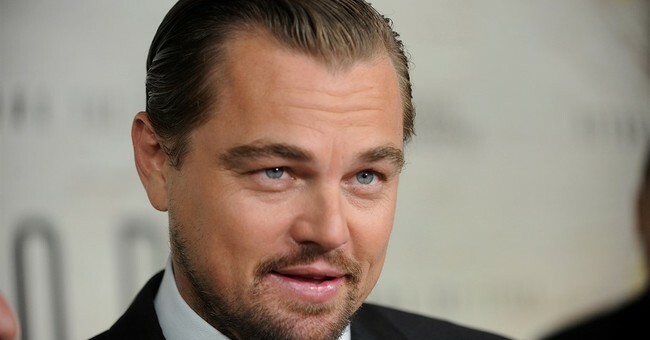 DiCaprio also met with Ivanka Trump, who reportedly regards climate change as her most important concern and plans to use her position as first daughter to push the issue. The meeting with DiCaprio comes at a perplexing time. On the same day Trump met with the Hollywood environmental activist, the president-elect selected Oklahoma attorney general Scott Pruitt to be lead the Environmental Protection Agency. AG Pruitt has been a staunch opponent of recent EPA regulations under the Obama presidency. Pruitt’s entrance into the EPA will likely mean the retraction of the Clean Power Plan and Clean Water Rule – both regulations he’s been on the front lines fighting against. The nomination is a clear indication Trump is putting energy and job needs above demands by environmental activists. However, the fact Trump is meeting with DiCaprio - an avid proponent of environmental regulations - and wants to continue a dialogue with his foundation, seems somewhat contradictory. There may be a warring of ideas between Trump, who has actively denied climate change, and his eldest daughter.